OSWEGO – The Oswego Sunrise Rotary Club recently welcomed Kristin Earle, Development Director for the Central New York Chapter of the Cystic Fibrosis Foundation, and Jenny Doane, Rotary Area 5 Assistant District Governor from the Baldwinsville club, where Earle is a member. 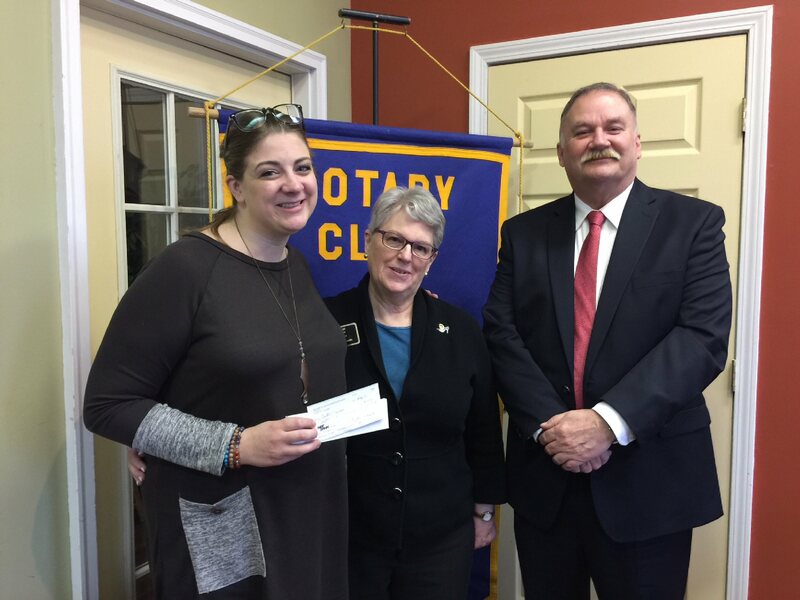 Pictured from left are Kristin Earle, Jenny Doane and Sunrise Rotary Club President Jim Cloonan. Earle discussed statistics and information related to cystic fibrosis, which is a progressive genetic disease that causes persistent lung infections that limit an individual’s ability to breathe. The Cystic Fibrosis Foundation works to provide all people with Cystic Fibrosis the opportunity to lead full, productive lives by funding research and drug development, promoting individualized treatments and ensuring access to high quality, specialized care. Earle provided details of the Great Strides: Cystic Fibrosis Benefit Walk on April 29 at Breitbeck Park in Oswego. Check-in for the event will begin at 10 a.m., with the walk beginning at 11 a.m. The walk is a fun, family-oriented event that serves as the Cystic Fibrosis Foundation’s largest national fundraising event. The Sunrise Rotary Club provided Earle with a donation for the event.